As you can tell, I took a longgggggg break from the blog. 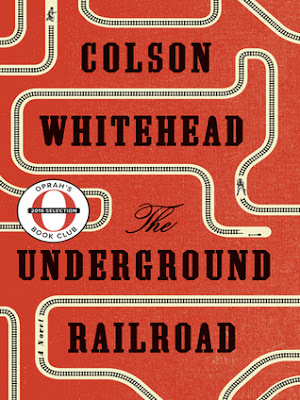 I'm just going to jump right into this review of The Underground Railroad by Coleson Whitehead. Initial Thoughts: I'd like you all to know that I honestly didn't like this novel much at all, and right after I finished it I had to get it out of my bookshelf/house right away because I was really not a fan. Cora was annoying. I really wasn't a fan of her at all, she seemed very whiney and it didn't appeal to me at all. Additionally, I feel as though I never really had the opportunity to like her as a character. The story progression was set up in a very weird way and it really didn't help me grow to like any of the characters. Caesar came into the story as a bit of a hero, but after that beginning plot I kind of lost interest in him. He became a part of the story, but not a very large part of it. All in All: I felt like this novel didn't put the biggest importance on the characters, other than the side characters that we were taught to hate. I hated it. I hated it. I hated it. This novel was horrible to get through. I made it about 200-ish pages in and for the last 100 pages I had to skim the rest of pages because I couldn't make myself DNF the novel after trying to hard to get through it. Looking back at it now I kind of wish I did DNF it early on when I began to loose interest. The main reason for my dislike for this novel stems from my inability to put up with novels that are slow at the beginning (and the middle and the end) like this novel was. It was just not enough action for me, and I don't know if that's because I'm used to fantasy novels and reading this was a shock to my reader brain, but it just didn't keep my attention like other books do. Additionally, this novel was set up in an odd way in which was confusing to me and didn't really make sense most of the time. Whether this has to do with me just being dumb and not "cultural" enough to understand the concept of this "masterpiece" I don't know, but it was weirdly structured. Trust me on that! This novel had a intriguing concept, but the execution didn't really interest me much at all. I was very disappointed with the outcome and I'm sad to say that because it really is an important idea/concept that needs to be talked about, but unfortunately this novel just wasn't for me. This novel does have very good reviews on Goodreads, so I wouldn't rely just on my review for whether you'd like to read it or not. Well there you have my The Underground Railroad by Coleson Whitehead Spoiler Free Review! I hope you enjoyed and leave a comment down below if you've read this book (or would like to read this book). 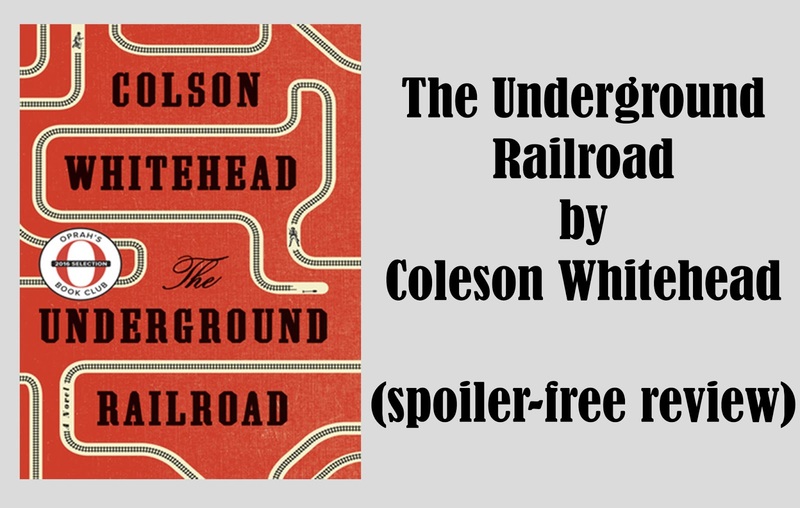 I always like to hear other's ideas and reasons for things and I'd love for you to let me know what you thought of this novel if you've read it! !